Do you have a Christmas baking tradition in your home? 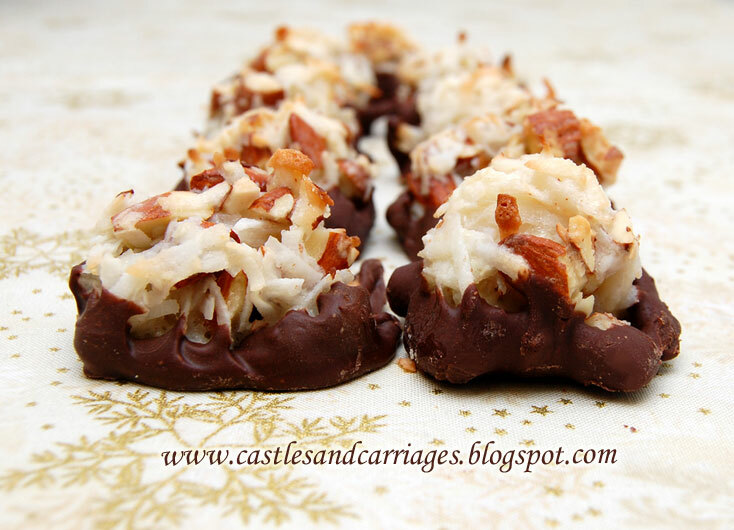 Every year I make these coconut macaroons and dip the bottoms in bittersweet chocolate. These cookies are soft but also have a little bit of crunch because of the chopped almonds. They're almost like an Almond Joy. I look forward to baking them every year. This cookie tastes better the day after baking (if you can stop yourself from eating them when they come out of the oven!). Combine flour, sugar, salt and coconut in mixing bowl. Stir in egg whites and vanilla extract. Stir in almonds, mix well. Drop tablespoon fulls onto a greased cookie sheet. I'm getting ready to make some of these yummy cookies. My family loves them. Mmmmm! These look great! Thanks for sharing at Mrs Foxs Sweet Party! Sissie: My family loves them too! 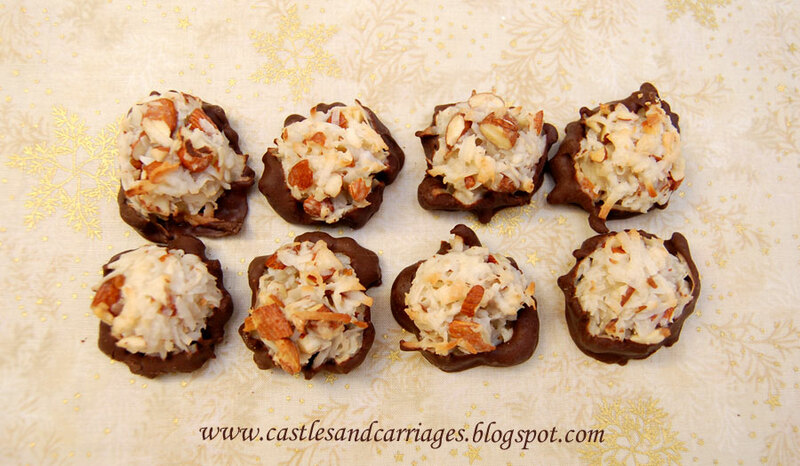 My mom especially loves coconut and chocolate so these are the perfect cookies for her. 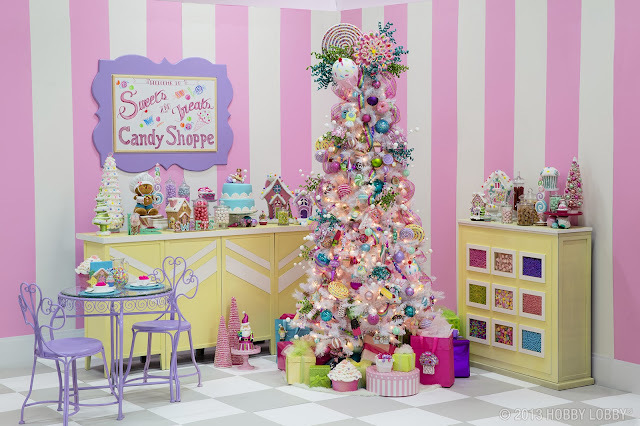 MrsFoxsSweets: You're welcome! Thank you for hosting such a lovely party! Wow, these look amazing! I'm a new convert to coconut love and I need to make these. :) Thanks for sharing on Crazy Sweet Tuesday! These cookies are wonderful, and they look like an Almond Joy! I have to make these soon! Thanks for joining the Cookie Blog Hop. I love coconut! 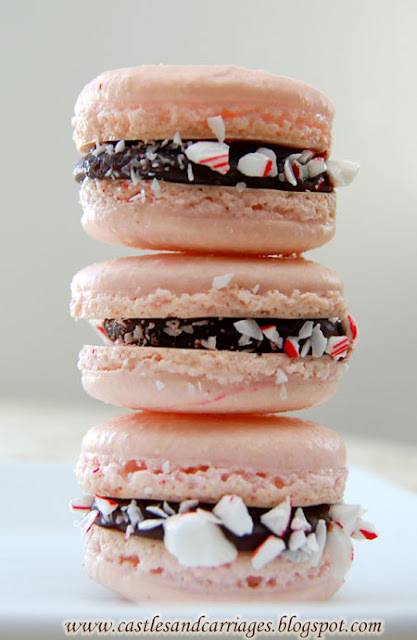 I'm adding these to my Christmas baking list! Thanks so much! These look sooo good can't wait to try..
Oh my, these sound wonderful!! I need to make these for my friend for Christmas! Almond Joys are her favorite!